With the rapid development and adaptation of technology, customers seek for convenience through the presence of technology-based services which allow them to conduct transactions anywhere and anytime. 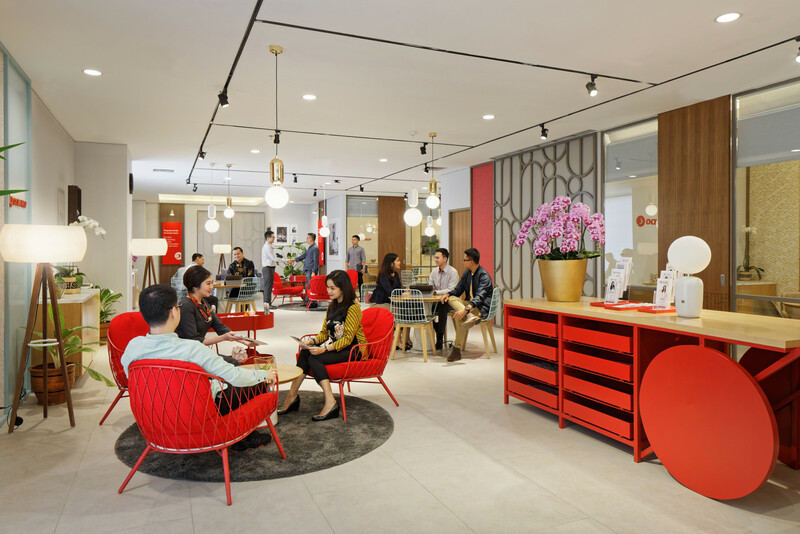 On the other side there is the desire for a new customers-centric approach to match their expectations with a new service model: Bank OCBC NISP is adjusting the function of its branch offices and switching from a model focused on transaction to a relationship model with more engagement. The inspirational landscape is also the naming of the concept and of the branch itself: “premium guest house”. The idea was to link the experience to this mood defined by a best in class service and amazing space where the family owner (the bank) will host the visitors as guest in its house, guiding them through it and sharing the knowledge to enhance the customer experience and life. Two main areas (the smart area and the premium living) help to diversify the customers flows and their specific needs. The vision shared by the OCBC NISP board was very clear: to provide a new banking experiences for its customers, tailoring the offer and the service depending on their different needs, as the Bank believes that the role of the branch will not be transactional based anymore. This is where Premium Guest House plays an important role to serve customer needs for banking advisory service. 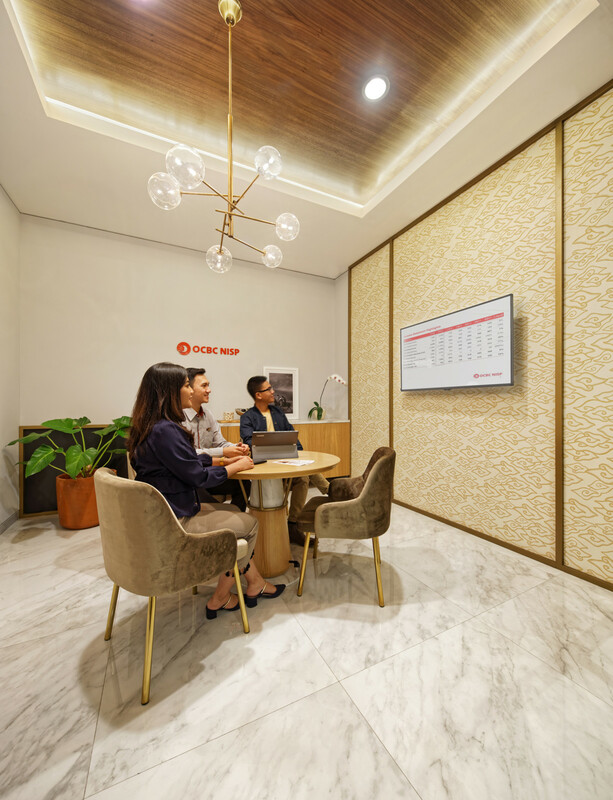 That was the starting point of the project with OCBC NISP, established in Bandung in 1941, with an ongoing massive presence of 308 offices located in 61 cities in the country (per Dec 2018). The Premium Guest House concept is in line with Bank OCBC NISP tagline “With You” which is to grow and develop together with its customers. Premium Guest House is a place to discuss and focus on customer’s future by sharing the Bank expertise and capabilities. 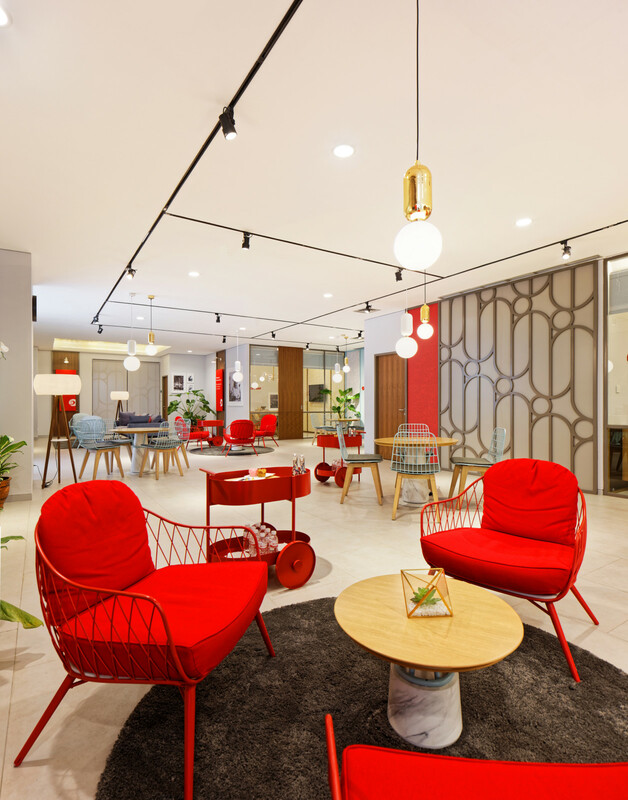 The “welcoming area” will manage the customer flow with the Indonesian typical greeting kindness, guiding them in one of the two main areas depending on their needs. The Smart Area is the first level of innovation with increased digital capabilities within the branch to provide seamless process and excellent service. With a smaller and practical zone, customer can conduct their transaction through ONe Mobile application. This modern approach consents to dedicate the bigger part of the branch for “premium living area”, a place dedicated to push the customer-banker relation with different levels of privacy in a very warm and comfortable atmosphere. DINN! linked a contemporary design space with the Indonesian heritage: different and meaningful kinds of Batik elements reviewed within the environmental graphic elements, or the street arts redesigned in a minimalist and modern way. Designing innovative concepts for foreign countries, with different cultures and behaviours is always the best scope for DINN!, it’s professionally intriguing to deliver a successful concept for the country context. To manage this kind of challenge the initial understanding phase is essential, in order to balance during the concept phase the correct gradient of innovation for each specific client: a tailor made solution is the key to achieve the client goals with local answers maybe totally different from another client with the same issues but in a different country.